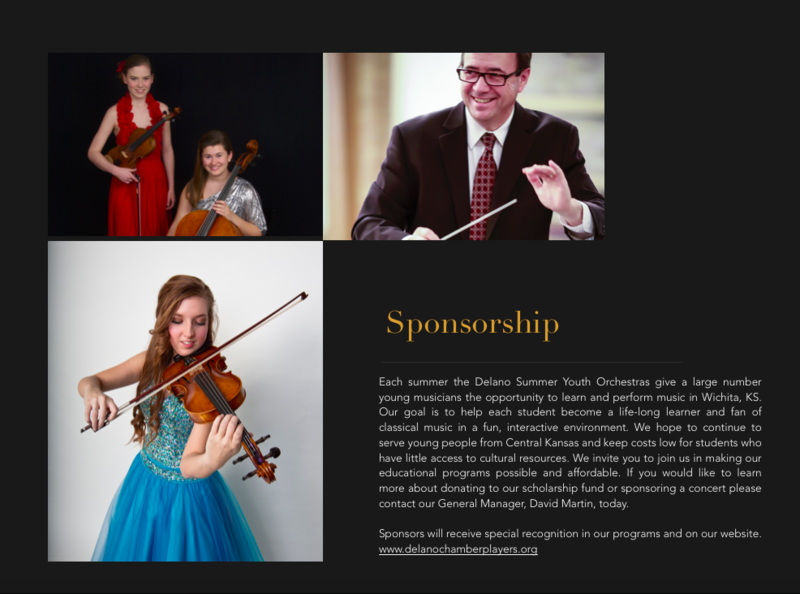 ​The Delano Chamber Orchestra announces its Summer Youth Orchestra season. Rehearsals will begin Monday, June 3, 2019, and continue each Monday evening (with the exception of July 1) through July 29. The dress rehearsal is scheduled for Sunday, August 4 at 6:00 pm for the String Orchestra. The Full Orchestra will meet at 8:00pm for the dress rehearsal. 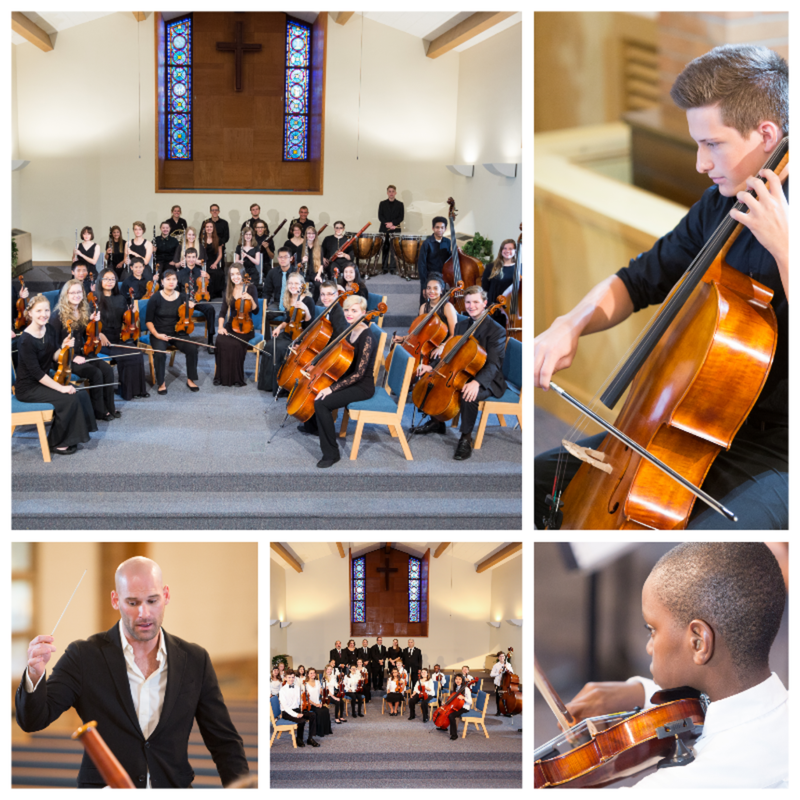 On August 5, The String Orchestra concert will begin at 6:30 pm; the Full Orchestra concert will begin at 8:00 pm. A brief parent meeting will be held on June 3 from 7:30-8:00pm. Two orchestras will be formed: the String Orchestra, conducted by Ms. Catherine Tummons and Dr. Wesley DeSpain, will meet from 6:00-7:30pm on all rehearsal days; and the Full Orchestra, conducted by Dr. Wesley DeSpain, will meet from 8:00-9:30pm for all rehearsal days. All rehearsals and concerts will occur at West Side Baptist Church, 304 S. Seneca. Section coaches will be in attendance for rehearsals. The fee for the summer is $175 and is due at the first rehearsal. Limited scholarships ($75) are available and will be issued upon showing need. Communication with parents or guardians is required to approve scholarships. Tickets will be sold to the performances: $10 for adults, $5 for students, children under 10 years old are free. To sign up, submit the registration form by May 11, 2019. Registrations will be taken on a first- come, first- served basis beginning immediately upon receipt of this notification. Space in sections of the Full Orchestra are limited. No electronic applications will be accepted. 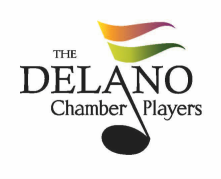 The Delano Chamber Players announces its Summer Youth Wind Ensemble season. Rehearsals will begin Thursday, June 6, 2019 and continue each Thursday through July 25. There is no rehearsal on July 4. The dress rehearsal will occur on Tuesday July 30 at 6:30pm. The concert will occur on Thursday, August 1, 2019 at 6:30pm. A brief parent meeting will occur on Thursday, June 7 from 6:00-6:30pm. All rehearsals and the concerts will occur at West Side Baptist Church 304 S. Seneca, Wichita, KS. The Musical Director will be Mr. David Bartley. Professional section coaches will be in attendance for rehearsals. ​The fee for the summer is $175. Limited scholarships ($75) are available and will be issued upon showing need. Registrations received before May 4th will be discounted to $150 with a $50 scholarship upon showing need. Tickets will be sold to the performances: $10 for adults, $5 for students, and children under 10 years old are free. To sign up, submit the registration form by May 12, 2019. Registrations will be taken on a first- come, first- served basis beginning immediately upon receipt of this notification. Space is limited, so early sign up is suggested. No electronic applications will be accepted.